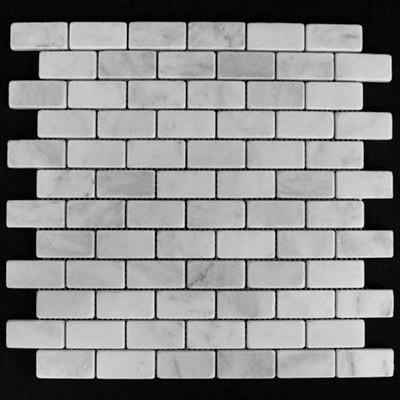 1x2 Mosaic Tiles mainly preffered as backsplash tiles or for flooring and cladding walls for its clean, aesthetic qualities. 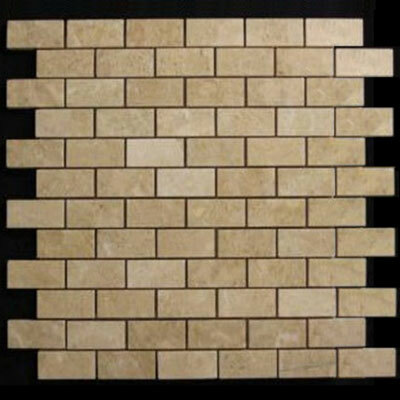 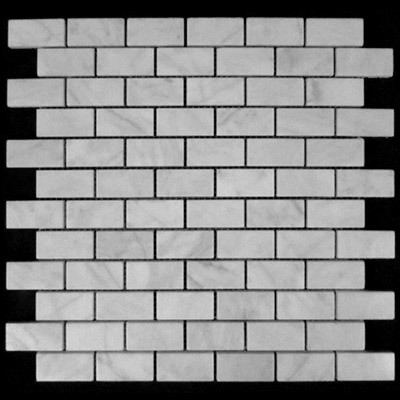 We offer huge selection of 1x2 Mosaic Tiles precisely cut of natural stones such as white carrara marble, crema marfil, nero marquina, ligt and dark travertine, honey onyx, bardiglio gray, afyon gold sugar, calacatta oro, pistachio green and thassos white. 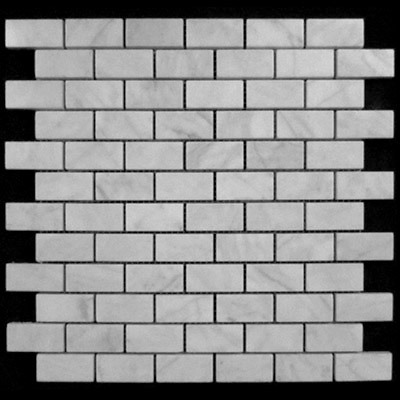 You can use 1x2 Mosaic Tiles as backsplash or for cladding walls to give extra depth to your kitchen, shower, bathroom projects to achive elegant looking living enviroments. 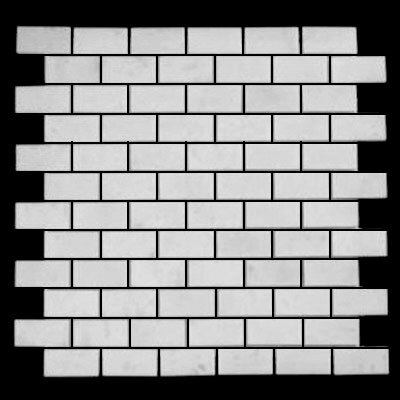 Mounted on 12"x12" sturdy mesh sheets for easy installation and honed, polished or tumbled surface finishes are always available.